10 foot containers for just about anything you need. 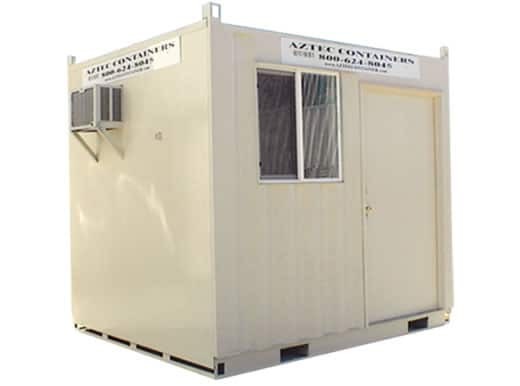 Since 1969 Aztec Container has been the industry leader in sales of 10 foot steel ISO shipping containers, roll up storage containers, walk in containers, custom office containers and guard shacks. Sales are available Nationwide and Rentals are available in California, Oregon and Washington. Call us at 1-800-399-2126 for a quick quote or fill out our quick quote form. We offer competitive prices and fast delivery. You can read testimonials from our many satisfied customers below. How much does it cost to buy 10ft. shipping container? 10 ft. shipping containers vary in price. They can be purchased worldwide from a variety of companies. 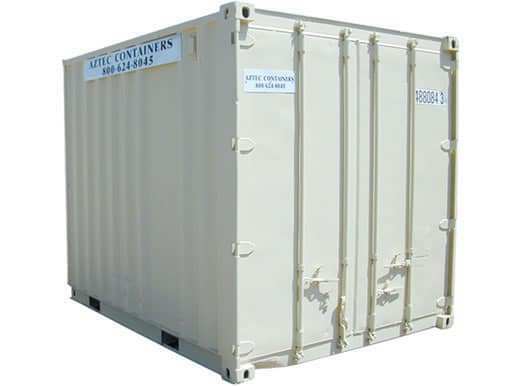 In the United States Aztec Container is one of the leading suppliers of shipping containers. We deliver direct to your door or desired location. 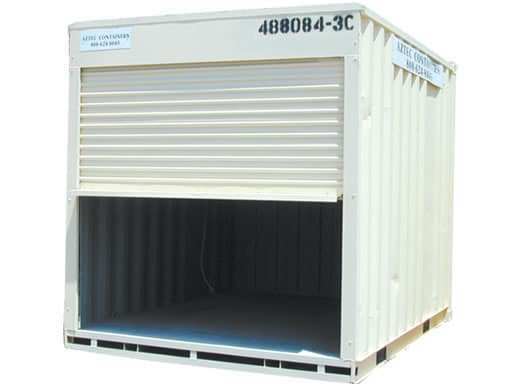 Where can I buy 10 ft. shipping containers near me? 10 ft. shipping containers can be purchased worldwide from a variety of companies. 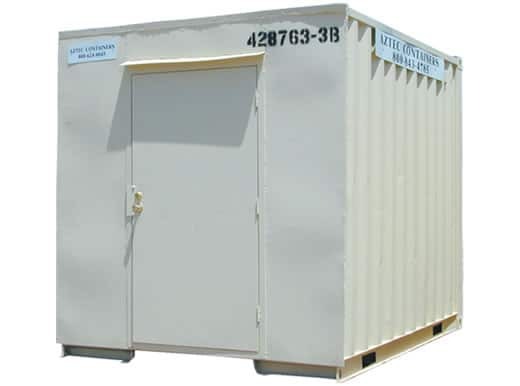 In the Western United States, Aztec Container is the #1 provider of 10ft. shipping containers. We deliver direct to your door or desired location. What are the dimensions of a 10 ft. shipping container? 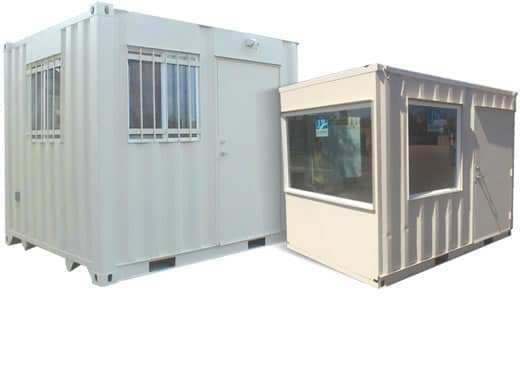 What types of 10 ft. shipping containers are available? 10 ft. shipping containers come in a variety of types. The most common types are ISO steel containers, residential storage, insulated, refrigerated, guard shacks and custom office containers. They also come with front open doors, side doors and roll up doors. No matter what type of shipping container you need, Aztec Container can help find a solution to meet your needs and budget! Call us at 1-800-399-2126 for a quick quote or fill out our quick quote form. You can read testimonials from many of our satisfied customers below.